Cospas-Sarsat (C-S) Program uses dedicated Search and Rescue (SAR) payloads onboard satellites to relay beacons signals to ground stations. When a distress beacon is activated the system decodes the message, downlinks it and performs analysis to give its exact location of distress. Geosynchronous Orbit Performs instantaneous alerting function from received distress beacons. 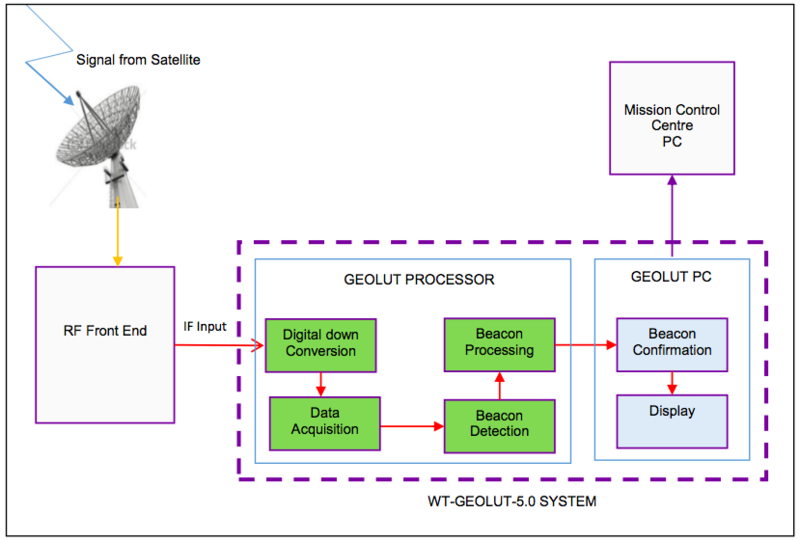 Geolut is a receiver system at ground station that processes and decodes distress radio beacon signals relayed from Geostationary satellite and sends alerts to Mission Control Center. Mission control center distributes this distress alert data (beacon information) to rescue coordination centers which in turn facilitate rescue response to a distress situation.